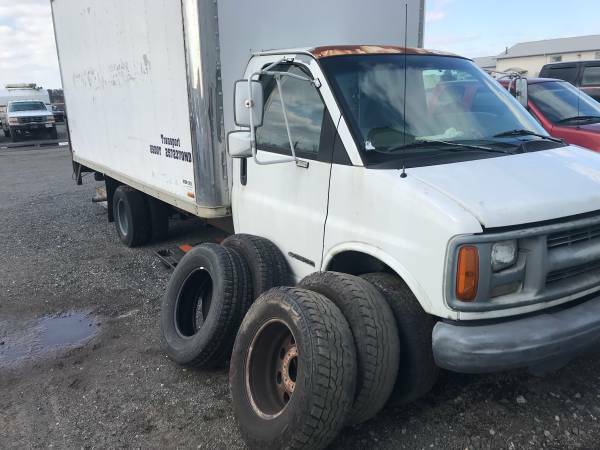 99 Chevy 3500 box truck with electric lift gate. 195,000 miles. 6.5L diesel. Dose not run, did run when parked, but needed a turbo due to using oil. Now it needs a starter and batteries to get running again. I used for storage. Rear lift gate works no issues. Rear door will need new panels installed for it to close. Clean title. Obo location zip 21643.